Max Kutner came to Silber via Luka Fisher & Records Ad Nauseum, ambient guitar drone experiments is one of our hallmarks & especially when it’s about isolation & self discovery. On Disaffection Finds Its Pure Form, Max wrote a one & a half page score but with fifteen sets of rules to navigate with an electric guitar for thirty sets of six-string interaction while remaining one unified piece. 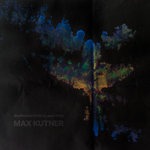 Our friends at Silber Records, the North Carolina based purveyors of everything drone, ambient and experimental, deliver Disaffection Finds Its Pure Form, the new album from Max Kutner. The 10 tracks represent sections of a unified piece that explores the depth of guitar drone. If one could image Brian Eno and Robert Fripp producing a guitar playing offspring, this is likely what the resulting music would sound like. Kutner takes his unique vision of guitar drone, finds the edge and then stays there with devastatingly profound consequences. With haunting sounds, sharp attack and melodic overtones, this could well be the best guitar drone music yet recorded. An absolute must have.